Khairuddin's father hopes that shaving his son's head?and putting the hair in a ?clean place,? such as a frozen river?will cure the boy's persistent headaches. 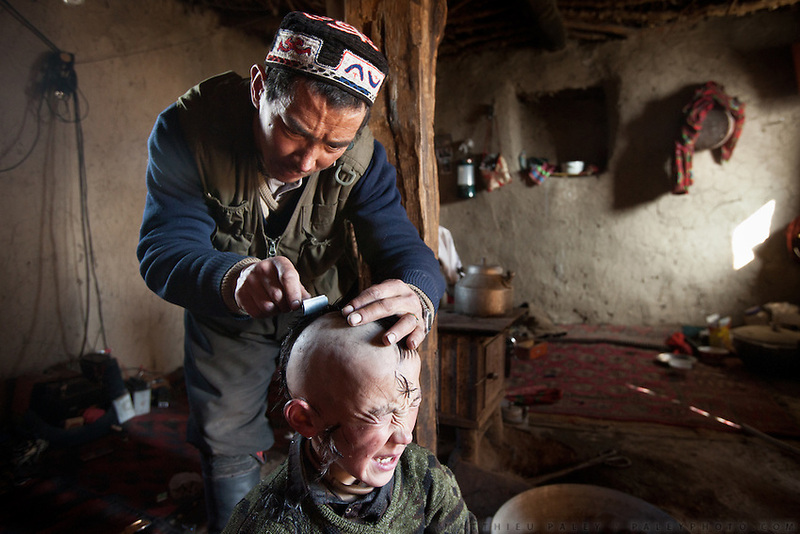 Although the Kyrgyz are Sunni Muslims, their rituals also reflect other ancient traditions. They believe that evil spirits cause many medical problems...The Kyrgyz settlement of Tchelab, near Chaqmaqtin lake, Haji Bootoo Boi's camp...Trekking through the high altitude plateau of the Little Pamir mountains, where the Afghan Kyrgyz community live all year, on the borders of China, Tajikistan and Pakistan.